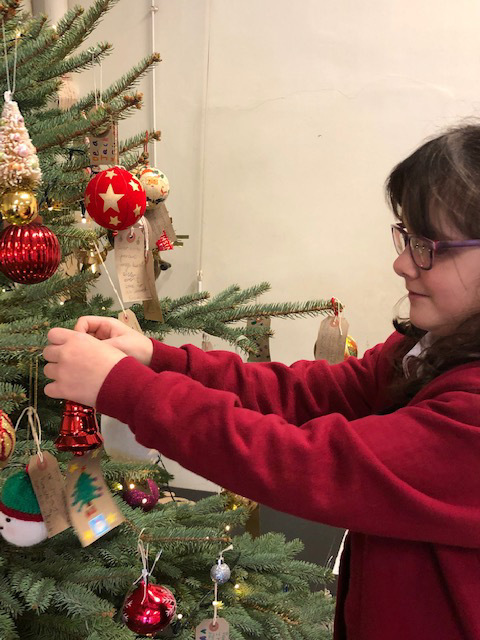 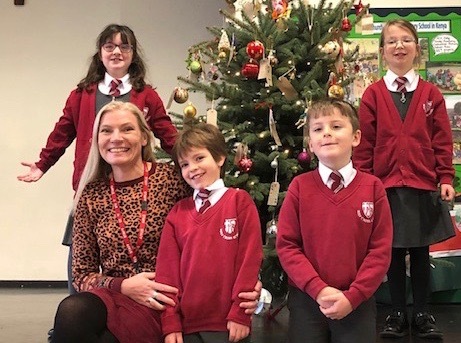 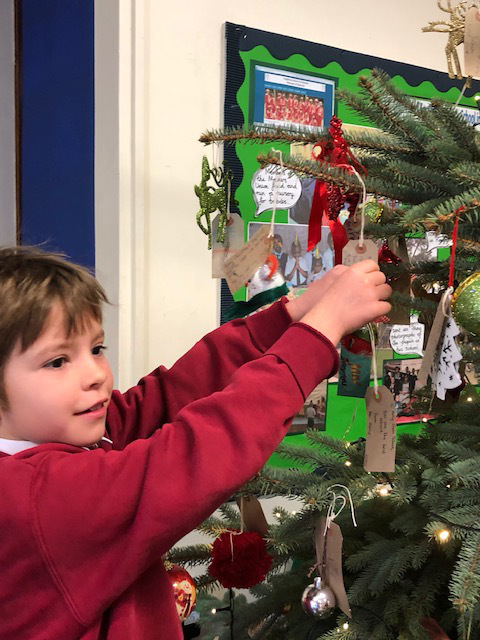 Holy Cross headteacher Kathy Dart and pupils pose for a picture with their newly decorated Christmas tree. 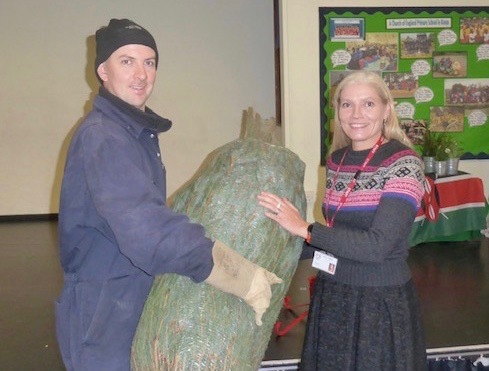 Michael Grant presents a Christmas tree to Holy Cross headteacher Mrs Kathy Dart. 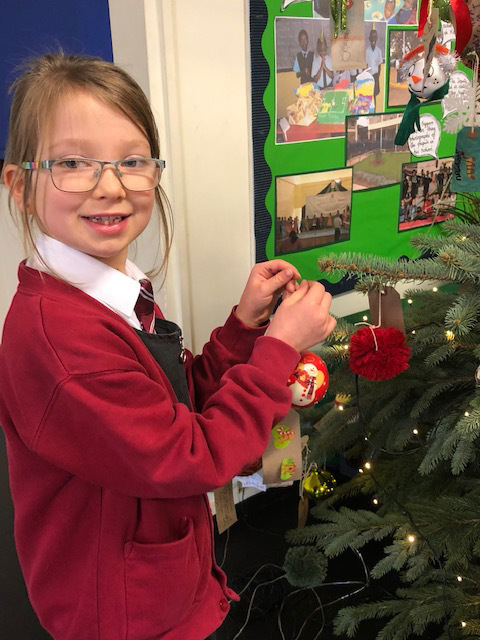 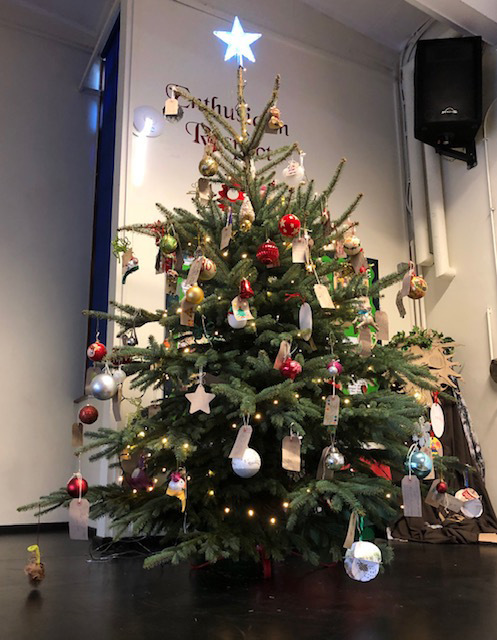 Pictures of the tree being decorated can be seen below.